When a loved one passes away, families are often left not only with a sense of grief and loss, but also with protracted legal battles ahead of them to resolve their loved one’s estate. The probate process can take years to complete, leaving heirs waiting for the inheritance intended for them while seeing that inheritance diminished by legal costs. You can learn more below about the basic steps involved in the probate of a will, as well as suggestions on how you can shape your estate plan to avoid the hassles and expenses of probate. Contact an Idaho estate planning attorney at Canyon River Law with any additional questions. 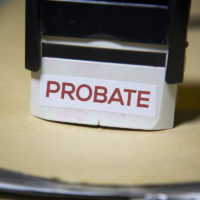 Probate is the term used to describe the court-supervised distribution of a deceased person’s (decedent’s) assets to both their creditors and heirs. Heirs must first identify whom the decedent selected to serve as executor of their will. If the decedent didn’t tell the individual directly, this information is often listed in the will itself. The executor is often the decedent’s family member or spouse, but most executors will hire an attorney who specializes in handling probate cases to assist them. The attorney can help the executor file the necessary documents to open the probate estate in the county court where the decedent lived. All heirs must be notified once the probate estate is opened, and creditors are given four months to file a claim for any debts owed by the decedent. The executor, with the attorney’s help, is tasked with creating a list of all the decedent’s assets, as well as paying any debts, filing any final tax returns, and liquidating any assets necessary. Once these tasks are complete, the remaining assets will be distributed among the heirs named in the decedent’s will. The estate is then considered closed. There are many strategies that a skilled Idaho estate planning attorney can use to help you save your heirs from the time and expense of probate. One of the most common and effective probate-avoidance strategies is the use of living trusts. By transferring ownership of your financial accounts, real property, vehicles, or other assets to that of a living trust, and naming a trustee to take over upon your death, these assets can be passed to beneficiaries named in the trust outside of probate. Trusts also allow you to establish whether certain terms must be met before the beneficiary can receive the assets designated to them. Those planning their estate should also consider joint ownership, payable-on-death designations, and transfer-on-death registration of securities as ways to prevent large assets from going through probate. For seasoned and professional legal help with an Idaho probate or estate planning matter, contact the Twin Falls offices of Canyon River Law Firm at 208-736-6000.